~ Runde Auffahrt, so dass Sie Ihr Wohnmobil, Boot oder Anhänger mitbringen können. Sie können Ihr Auto auch in unserer Garage abstellen. ~ 2 Schlafzimmer und 2 Bäder. Romantisches Kingsize-Bett im Obergeschoss in einem geräumigen Loft mit eigenem Bad und Balkon. Sie können sitzen und lesen, einen Film ansehen, die Aussicht auf die Berge im Osten oder den See im Westen von beiden Seiten des Kingsize-Bettes genießen. ~ Großer Holzkamin im Wohn / Großraum. Dies ist ein entspannender Raum mit deckenhohen Fenstern mit Blick auf den Wald und den See. ~ Queen Log Bett im Schlafzimmer im Erdgeschoss. Neben Küche, Bad und Waschküche. Angeln an unserem See, Swan River, Flathead Lake usw. Machen Sie eine Pause vom Trubel, genießen Sie die Ruhe, kuscheln Sie sich am Feuer, beobachten Sie die Tierwelt und beobachten Sie den Sonnenaufgang über den Rocky Mountains und den See. Man muss es selbst sehen und sich so verlieben wie wir. 1 Badezimmer mit WC im Obergeschoss und 1 Vollbad im Erdgeschoss sowohl mit Dusche und Badewanne. Beautiful home! Perfect place to stay for our Montana vacation! We loved this house! Sitting in the hot tub and having a fire in the fireplace were the perfect touches for our visit to Montana. The house was super clean and comfortable, we could’ve stayed forever! Cindy was a great hostess and made sure we had everything we needed. Would love to come back! Clean, quiet, comfortable, lovely stay! Upstairs bed is top notch, house & hot tub very clean & well maintained! Want for nothing, stocked well, couldn't ask for better views from the grand windows! You get access to the garage & plenty of firewood for the beautiful fireplace. If you want a warm, clean, quiet, comfortable get away with very attentive owners this is the place! Definitely one of our absolute favorites! Beautiful views from this lovely home. Everything was well thought out and we felt at home. The entire 2-bedroom home and hot tub were very clean. The owner gave us a quick tour and was a text away if we needed anything. She is amazing! She requested we let her know if anything could improve our stay, but honestly, everything was perfect. Wish we could have stayed longer, but do plan on returning in the future. Thank you. Perfect spot and super attentive, kind hosts. We loved everything about this cabin: the hot tub, the wrap-around deck, the views of and proximity to the lake, the fireplace, the abundant supply of firewood, the huge picture windows, and the comfortable, cozy interior. 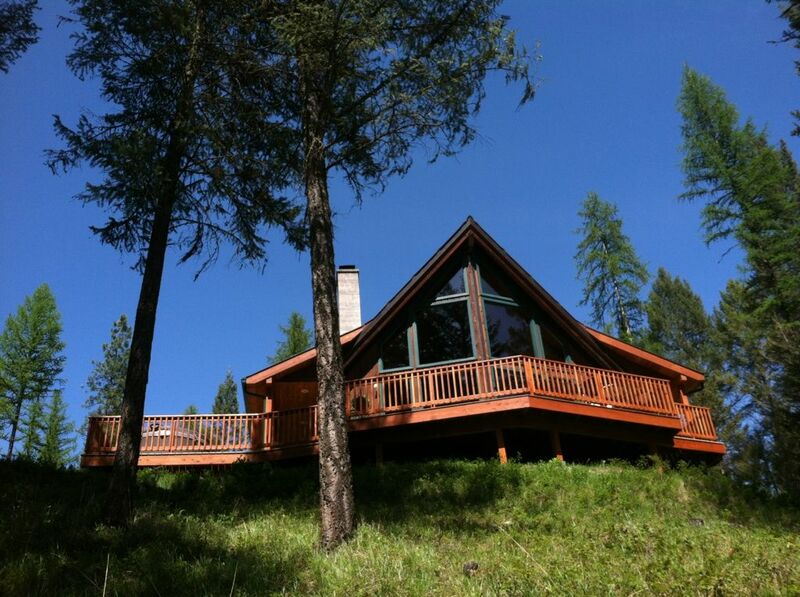 It is secluded and private but you are an easy drive to Bigfork and West Glacier. Will definitely be back!!! Recommend very highly! Beautiful home, unprecedented attention to ensuring our comfort. This is a wonderful home amongst the trees overlooking what feels like a private lake. Randy and Cindy were the most gracious and attentive hosts I’ve had the pleasure of encountering. They ensured we had everything we could possibly need for a comfortable and carefree stay. The experience was perfect and we can’t wait to visit again! Thank you! It was nice to meet your family, especially the littlest one. Hope you made it home safely and that we'll meet again. Randy and Cindy had a beautiful home. They were very caring and went out of their way to make sure everything was perfect. I am very blessed to have met them and to stay at there home. I am already looking forward to seeing them again! This is a Non Smoking property. Property Damage Protection Plan (damage insurance) is required.